The World Wide Fund for Nature (WWF) is an international non-governmental organization working on issues regarding the conservation, research and restoration of the environment. It was formerly named the World Wildlife Fund, which remains its official name in Canada and the United States. It is the world's largest independent conservation organization with over 5 million supporters worldwide, working in more than 100 countries, and supporting around 1,300 conservation and environmental projects. WWF is a foundation, which in 2010 received 57% of funding from individuals and bequests, 17% from government sources (such as the World Bank, DFID, USAID) and 11% from corporations. Currently, much of its work focuses on the conservation of three biomes that contain most of the world's biodiversity: oceans and coasts, forests, and freshwater ecosystems. Among other issues, it is also concerned with endangered species, pollution and climate change. The WWF is part of the global effort to immediately protect and/or manage high seas resources and ecosystems threatened by industrial activities. This includes unsustainable and illegal fishing as well as sub-standard ships and shipping practices. The WWF is a very active NGO that is investing, founding and supporting sustainable initiatives in the tuna sector worldwide with a direct impact on the responsible management of specific tuna stocks. The WWF focuses on improving global tuna fisheries and the way they are managed. Together with Marine Stewardship Council (MSC) and the International Seafood Sustainability Foundation (ISSF), WWF helps global tuna fisheries implement more sustainable practices which ensure responsible management of harvest techniques, ecosystems and livelihoods. Around the Coral Triangle (Philippines, Malaysia, Timor Leste, Papua New Guinea and Solomon Islands), the WWF is supporting the improvement of sustainable methods for harvesting fish and setting up sustainable solutions for inhabitants, as well as protecting one of the most diverse marine habitats on Earth at the same time. The WWF Smart Fishing Initiative project tries to achieve an adequate stock management for a sustainable catch and acceptable fishery impact on the marine ecosystem working together with governments, tuna fisheries and markets. WWF does not currently promote FAD fishing as a sustainable fishing method for catching tuna. Beside the aforementioned projects, WWF is an active supporter of the sustainable improvements of 7 tuna populations (the Atlantic, Southern and Pacific bluefin, bigeye, yellowfin, albacore and skipjack tuna) with the highest market-value, and therefore most vulnerable to overfishing. Greenpeace is a non-governmental environmental organization with offices in over forty countries and with an international coordinating body in Amsterdam, the Netherlands. Greenpeace states its goal is to "ensure the ability of the Earth to nurture life in all its diversity and focuses its campaigning on worldwide issues such as global warming, deforestation, overfishing, commercial whaling, genetic engineering, and anti-nuclear issues. Greenpeace uses direct action, lobbying and research to achieve its goals. The global organization does not accept funding from governments, corporations or political parties, relying on 2.9 million individual supporters and foundation grants. 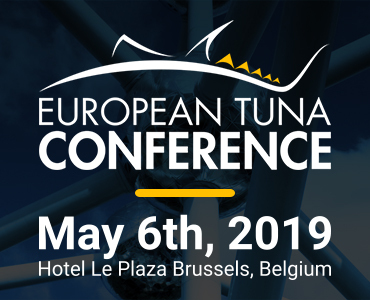 Greenpeace has been present in tuna conservation issues for a long time by participating in regional fisheries management meetings, sustainable summits, worldwide tuna campaigns as well as monitoring fishing vessels in the high seas for IUU activities in the different oceans. Within the retailer sector worldwide, Greenpeace has developed a campaign to promote sustainability and has put pressure on retailers that do not obtain tuna products from sustainable sources. Greenpeace has launched a sustainability ranking system for supermarkets in several countries, in which the canned tuna products from the top 10 supermarkets are rated in terms of sustainable sourcing. This is part of the bycatch project which aims to reduce and eliminate the catch of non-target species caught with non-sustainable fishing methods. Promoting and supporting the creation of Marine Protected Areas (MPAs) in order to protect parts of the ocean from tuna fishing, has been a big priority for Greenpeace. Greenpeace is also a strong promoter and supporter of pole and line fishing as a solution for overfishing. Greenpeace is strongly against FAD fishing as a fishing method for tuna. The rainbow warrior is a ship used for several of Greenpeace’s campaigns. The NGOs staff are not only involved in organizing campaigns, but cooperating scientist are also involved in tune industry research. ISSF is a coalition of tuna industry players, scientists and the WWF, which aims to improve the sustainability of global tuna stocks. ISSF does this by developing and implementing verifiable, science-based practices, commitments and international management measures that result in tuna fisheries meeting the standard for MSC certification without conditions, and becoming the industry standard for vessel owners, traders, processors and marketers. ISSF is the only NGO exclusively committed to the tuna business, tuna management and tuna conservation. An extensive overview of all its activities can be found on the organization’s website. Pew is an independent nonprofit organization – the sole beneficiary of seven individual trusts established between 1948 and 1979 by two sons and two daughters of Sun Oil Company founder Joseph N. Pew and his wife, Mary Anderson Pew. Pew’s work lays the foundation for effective policy solutions by informing and engaging citizens, linking diverse interests to pursue common cause and insisting on tangible results. Pew’s projects encourage efficient, responsive governments – at local, state, national and international levels – serving the best interests of the people. Pew partners with a diverse range of donors, public and private organizations and concerned citizens who share Pew’s interest in fact-based solutions and goal-driven investments to improve society. With offices in Philadelphia, Washington, D.C., Brussels and London and staff in other regions of the United States as well as Australia, Pew aims to strengthen environmental policies and practices in ways that produce significant and measurable protection for terrestrial and marine systems worldwide. Pew’s global tuna conservation campaign focuses on two main areas. The first is enacting strong measures that will lead to the recovery of the severely depleted Atlantic tuna population, including the enforcement of science-based catch and better tracking of tuna catch. The second is endorsing science-based conservation management measures for other tuna populations, such as skipjack, bigeye and yellowfin in order to ensure healthy tuna populations, protect ocean ecosystems and ensure the livelihoods of local communities that depend on a healthy marine environment. To achieve these goals, Pew is working with governments and other conservation groups, as well as the tuna industry to implement science-based catch limits and improve the quality of data collection to be used for the management of the fishery. Pew’s science-based data is supporting precautionary, enforceable rules and management plans for fish aggregating devices (FADs). Pew actively works together with tuna RFMOs to improve tuna management; to end and prevent overfishing of the 6 major commercially fished tuna species in the Atlantic and Pacific Ocean. Oceana is the largest international ocean conservation and advocacy organization. The association works to protect and restore the world’s oceans through targeted policy campaigns. Oceana bases its policy campaign goals on science to achieve concrete and measurable results through targeted campaigns that combine policy advocacy, science, law, media, and public pressure to prevent the collapse of fish populations, marine mammals, and other sea life caused by industrial fishing and pollution. Campaigns are designed to produce clear, identifiable policy changes within a 3–5 year timeframe. Oceana, founded in 2001, is the largest international organization focused solely on ocean conservation, protecting marine ecosystems and endangered species. Oceana offices in Europe, North America, Central America and South America work together on a limited number of strategic, directed campaigns to achieve measurable outcomes that will help return our oceans to former levels of abundance. Oceana believes in the importance of science in identifying problems and solutions. Oceana’s scientists work closely with our teams of economists, lawyers and advocates to achieve tangible results for the oceans. 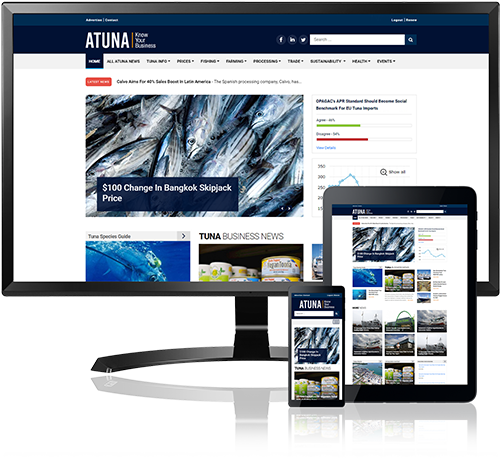 Oceana aims to create and promote marine protected areas, reduce bycatch in the tuna fishing sector as well as fighting IUU fishing on three fronts: campaigns onboard, reporting and lobbying governments involved in order to eradicate IUU fishing worldwide. Oceana works in the EU to achieve the approval of specific legislations concerning bycatch and discards, proposing maximum allowable bycatch, improving the selectivity of fishing gear and prohibition of discards. Additionally, Oceana works to promote areas of conservation in the Mediterranean Sea in order to preserve fishing opportunities to protect reproductive cycles, including the spawning of bluefin tuna. The Campaign for Eco-Safe Tuna is an international effort committed to a more sustainable approach to tuna fishing. Among the principal backers of the Campaign are the companies that comprise Mexico’s tuna fleet, who for the past 20 years have dedicated themselves to supporting the successful multilateral effort to reduce dolphin mortalities in the ETP by more than 99% and ensuring that the ETP remains a sustainable and eco-safe fishery with a minimum amount of bycatch. Another principal sponsor of the Campaign is the Organizacion Latinoamericana de Desarrollo Pesquero (OLDEPESCA), an organization made up of the fisheries ministers or state secretaries with responsibility for fisheries in the twelve member nations. OLDEPESCA’s main objectives are to promote the sustainable development of fisheries in the region, to preserve the marine environment and to implement responsible fishing policies. The organization advocates for new eco-labeling rules in the United States and around the world to ensure an eco-friendly approach to tuna fishing. By educating consumers about the true nature of current tuna labeling practices, the Campaign seeks to ensure that not only dolphins, but also sharks, marine turtles, seabirds, juvenile tuna and other vulnerable species, are not unnecessarily harmed during the fishing process. The fishing fleets that support the Campaign claim to be committed to sustainable and eco-safe tuna fishing over the past twenty years by adhering to the La Jolla Agreement and the Agreement on the International Dolphin Conversation Program (AIDCP). All these vessels carry independent observers on board. The Earth Island Institute (EII) was founded in 1982 by environmentalist David Brower. It organizes and encourages activism around environmental issues and provides public education. Funding comes from individual members and supporting organizations. Through fiscal sponsorship, it provides the administrative and organizational framework for many individual projects that would otherwise be duplicating administrative requirements. It is based in Berkeley, California. Earth Island claims to hold the largest private environmental monitoring program in the world. 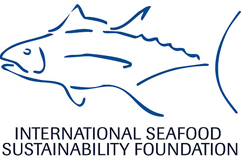 The institute issues a logo which it claims guarantees that the tuna product is “dolphin safe”, meaning that the tuna fish was caught without harming any dolphins. The system is entirely based on captains of fishing vessels certifying themselves, and reporting that they did not hurt or kill any dolphins. The organization only monitors on land, not at sea. With a staff of 12 people (of which some are part-time employees) in seven countries this EII program says it regularly inspects and monitors more than 420 tuna processors, fishing companies, tuna traders, and over 600 large tuna vessels in 53 countries. EII has been supporting FAD-fishing in the past.